WASHINGTON, DC - United Fresh recently released two quarterly retail and foodservice trends reports: The FreshFacts® on Retail Q3 2018 and Fresh Insights for Foodservice Fall 2018. 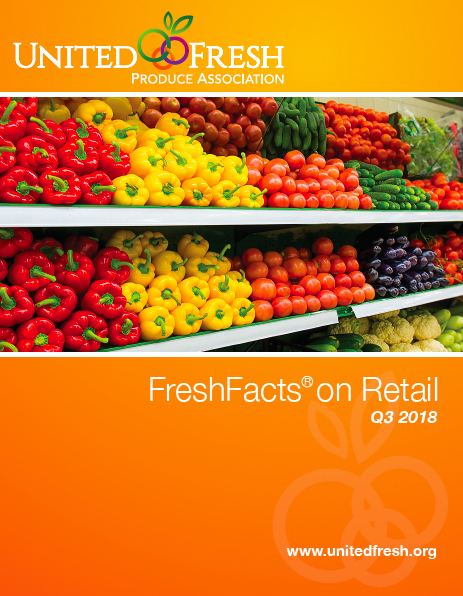 The FreshFacts on Retail Q3 2018 report was produced in partnership with Nielsen Fresh and measures retail price and sales trends for the top 10 fruit and vegetable commodities, in addition to other value-added produce categories. The Fresh Insights for Foodservice Fall 2018 issue was developed with data from Dataessential’s database MenuTrends, and provides a comprehensive look at how chefs and restaurants are featuring fresh produce on their menu, along with broader applications for retail, meal kits, and more. The FreshFacts on Retail report’s data is enhanced by Nielsen’s Total Food View, a press release noted, which increases coverage of fresh data in 92,000 U.S. stores in the food and drug channels. The report also features category spotlights on onions, peppers, and oranges, and looks at consumer awareness of marketing claims and their impact on produce sales. The Fresh Insights for Foodservice Fall issue details “in-season” fall menu options, such as apples and butternut squash, and and checks in on on-trend breakfast bowls and how these sweet and savory menu items rely on fresh produce for flavor and texture. In the “On the Horizon” section, readers can explore spring menu trends, which hone in on radishes, honeydew, entrée salads utilizing a variety of produce options. This quarter’s “Chain Report” section highlights fresh options recently added to major chain menus, including dishes featuring oranges, broccoli, and green beans. The “View From Above” section covers K-12 school foodservice and the growing range of produce options that are appearing on kid-friendly menus. “We are excited that K-12 school foodservice will be highlighted in this issue of Fresh Insights for Foodservice. School districts are high-volume buyers that can have a significant impact on kids’ produce choices now and in the future. 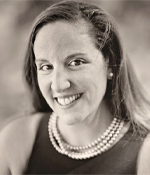 And more and more, we’re seeing school foodservice directors include a variety of fresh produce items on their menus,” said Andrew Marshall, United Fresh’s Director of Foodservice & Foundation Partnerships. Both reports are developed with guidance from the United Fresh Retail-Foodservice Board. Both FreshFacts on Retail and Fresh Insights for Foodservice are free to United Fresh Members and $50 for non-members. To order the report, visit www.unitedfresh.org.